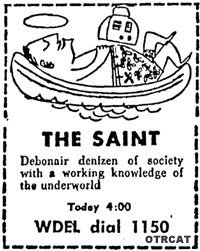 Simon Templar, AKA "The Saint" was not a Saint…in fact, the name was the underworld's sobriquet for this radio detective, who often did a little bad to get the "goods" on his criminal of choice. "The Saint" is a bon vivant who savors detection as an art form. He's nothing like his American hard-boiled detectives-in-arms such as Sam Spade, Boston Blackie and Phillip Marlowe, although closer in spirit is The Fat Man, and closer still, Nero Wolfe. Simon Templar was called "The Saint" because of his initials: "S.T." The Chinese-English crime novelist Leslie Charteris wrote over a hundred Saint adventures. Many "Saint" movies were made, the best starring George Sanders. 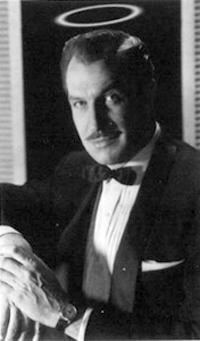 Tom Conway, who played The Falcon on the silver screen, was in real life George Saunders brother! (To prevent confusion on the part of the public, they tossed a coin to see who would have to change his name. Tom lost, and became Tom Conway.) 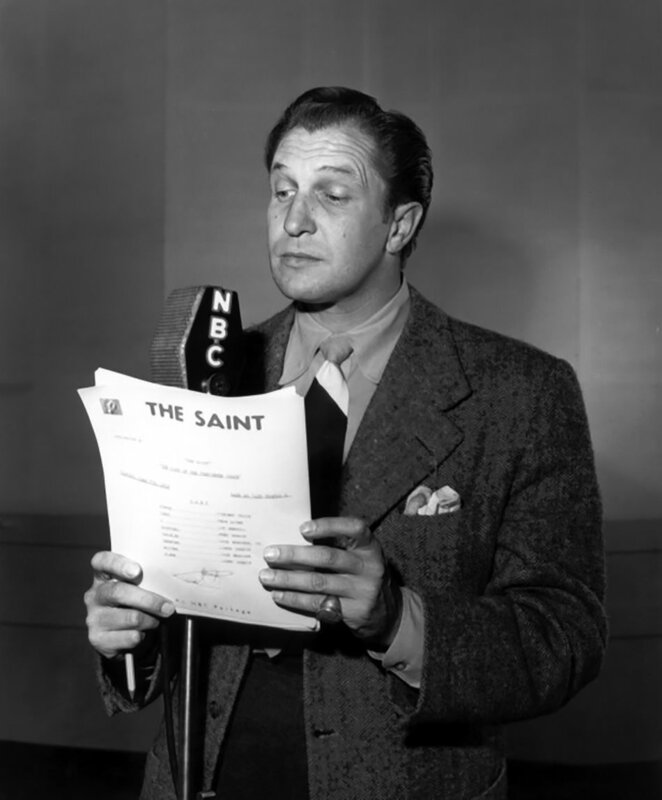 When in 1947, The Saint was developed for radio, the first choice was Tom Conway. 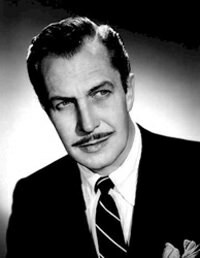 He quickly stepped aside, however, and the legendary Vincent Price went on to give the radio public its most wry dilettante of the demimonde. The Saint's crime fighting is sophisticated. He's usually sharp enough to stick to slinging witty words like arrows, since he's the "Robin Hood of Modern Crime", but sometimes thugs want their slugs. Lawrence Dobkin is "Louie," the (Brooklyn) Cab Driver, who keeps The Saint streetwise while getting him across town. A congenial cast of characters is always on hand, or fist, thanks to the witty scripts. Orchestral music adds to the enjoyment, too, but it's Mr. Vincent Pricethat gives The Saint a halo. Please note this is the same collection as in the Vincent Price Collection Volume 2. For more Vincent Price excitement and guest star appearances, please see The Vincent Price Collection Vol. 1. For more hard hitting detective action, don't forget to call on some of the most popular detectives: Phillip Marlowe, Richard Diamond, Let George Do It, Boston Blackie, and The Falcon. For more brainy detectives, see also: Softboiled Detectives. Vincent Price(An absolute perfect pick to play The Saint on radio) has one my all time favorite quotes. One I would call a life motto of mine. “A man who limits his interests limits his life”.